Got a blank wall, desperate to be filled with a piece of original, Innocenti inspired artwork? Got £500? Then you could get hold of this original oil on canvas, by Darren Roberts. 450mm x 350mm. Available from here. If that’s not to your taste, there’s a couple of others… he’s obviously a gentleman of some taste. 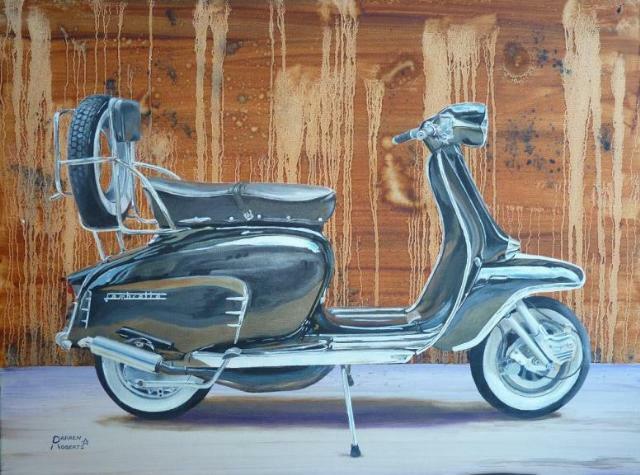 This entry was posted in Ephemera and tagged art, Lambretta, paintings by crocodilejock. Bookmark the permalink.